At Crestview Chrysler, we know how expensive car buying can get, which is why we offer great specials to our customers to reduce the cost of purchasing and maintaining a vehicle. With all kinds of unique and budget-friendly specials, we aim to make car ownership easier, so that you can focus on other important things in life. Keep reading to learn more about all the specials that await you here at Crestview Chrysler. One of the great things about our dealership is that we don’t limit our promotions to those in the immediate Regina area. At Crestview Chrysler, we want to make it possible for people from all over to get in on all of the great deals that we’re running, which is why we provide a promotion specifically for those not local to our dealership location. This innovative special provides customers with the option to purchase a vehicle they’ve found on our website and then have it delivered to them for free! Customers even have the opportunity to stop by our dealership in person and receive a free overnight stay at the hotel of their choice plus up to $200 in fuel to get back home. By making it easier to access our deals, we are able to make car buying affordable for everyone. Brake System Maintenance – For only $89.99, we’ll make sure that one of the most important systems on your vehicle is in tip-top shape by cleaning the debris and corrosion from the brake system, lubricating brake hardware, and performing a visual inspection of the sensors and tone rings. 4-Wheel Alignment – At the low price of $99.95, drivers can get a full 4-wheel computerized alignment with toe adjustment, front and rear suspension system inspection, and steering component inspection to ensure that they’re getting the best vehicle performance possible. Purchasing or financing a new vehicle doesn’t have to break the bank, especially at Crestview Chrysler. To make it even easier for our customers to drive off in a new Dodge, Chrysler, Jeep, and Ram vehicle, we offer special discounts on our stock of brand new vehicles. For example, drivers can get a brand new 2016 Ram ProMaster City Cargo Van SLT for only $30,669, a whole $4,000 cheaper than the MSRP. With a 2.4L I4 engine that can get up to 8 L/100 km on the highway and a cab that offers more than enough passenger space, that’s a pretty great deal. Other great options include vehicles like the 2016 Ram 1500 Laramie Quad Cab EcoDiesel with Sunroof and Navigation. This vehicle will only run you $58,764, quite a savings compared to its $69,264 MSRP. The aggressive 3.0L V6 engine of the Laramie is just waiting to show you what it can do. Finding used cars at budget-friendly prices is easier than ever thanks to Crestview Chrysler’s special “Budget Vehicles Under $15,000” section. Vehicles included in this special area include the 2013 Chrysler 200 Touring V6, which will give drivers a total savings of $2,575 due to its price drop from $17,474 to $14,899; it’s a spectacular price for this powerful yet fuel efficient vehicle that can get as much as 6 L/100 km on the highway. 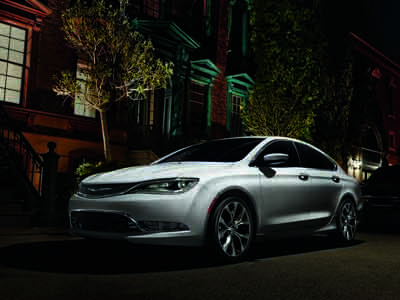 For a little bit more, drivers can also upgrade to a used 2015 Chrysler 200 with Navigation at a price of $24,194, a $6,391 savings from the previously marked price of $30,585. With over 100 vehicles available in our used vehicle inventory, you’re bound to find a vehicle that fits your needs at a price that fits your budget. Get the Car You Really Want Today! Don’t waste any more valuable time trying to find the money to pay retail price for the vehicle of your dreams. With all of the great deals we have available at Crestview Chrysler, there’s really no reason to look elsewhere. Stop by and visit our team at 601 Albert Street in Regina to learn more about our great deals. You can also contact us online or by phone at to schedule a test drive or service appointment.